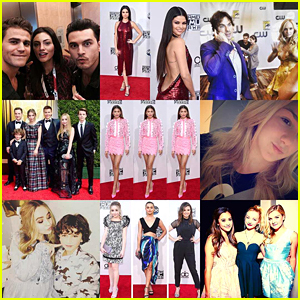 2015 Year End Recap Photos, News, and Videos | Just Jared Jr.
Have you done your Best Nine on Instagram for 2015 yet? Every day, we shared the most fun and best pics from our website — and even repost some from our fave celebs — on our Instagram account. So make sure to follow us at @JustJaredJr. JJJ did and we’re over the moon that four of them were from our takeovers with Michael Malarkey (we think there should definitely be another one in 2016, yes? ), Chloe Lukasiak and August Maturo. And look at that — there are FOUR of our Style Stars on there too! All of our friends were doing this, so we did too. #2015bestnine???? And we’re ready to reveal our Top 5 Style Stars of 2015! You see their pictures, but do you know where they landed on the list? 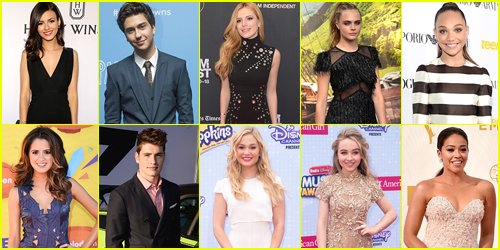 Earlier today, we revealed the celebs that took the #6-15 spots on our annual list and they included Laura Marano, Cara Delevingne, Gregg Sulkin, Victoria Justice, Bella Thorne and more! With just hours to go, JJJ is finally ready to reveal our Top 15 Style Stars of 2015! We’re counting down our 15 most stylish stars of 2015 and sized up street style, red carpet style, selfie style and more for the list. We upped it from 10 to 15 for this year, because, well, we can and we had so many breakout style stars this year! Only two people from last year’s list made it to this year’s — but you won’t see them in this post. They actually made it to the Top 5! You might think that Jared Padalecki and Jensen Ackles, Bradley Steven Perry and Austin North, or even Tyler Posey and Dylan O’Brien might be the best bromance of all time. We LOVE those bromances…but, JJJ is here to prove you wrong. 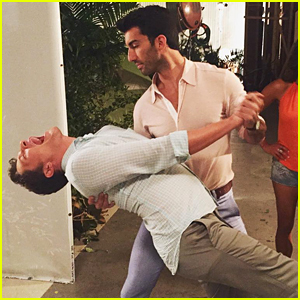 Once you see all the proof we have for Jane The Virgin co-stars Justin Baldoni and Brett Dier‘s bromance, you’ll see that we’re right. 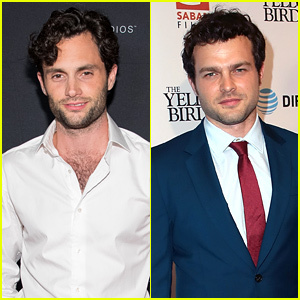 After this cute video surfaced, thanks to Gina Rodriguez, we’ve been hung up on their bromance…and it’s partly the reason why we’re naming them our 2015 Bromance of the Year. It’s not only their silly Instagrams, and on/off screen love/hate relationship they have going on either. 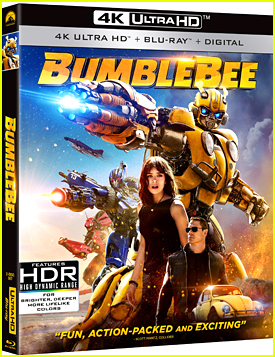 They also have teamed up to give back in a big way. 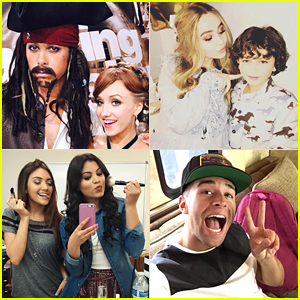 There’s no lying that we LOVE hosting celeb takeovers on our Twitter and Instagram and 2015 was packed with them! On top of JJJ‘s regular takeovers every week (and some weeks even had each day booked with a different celeb! 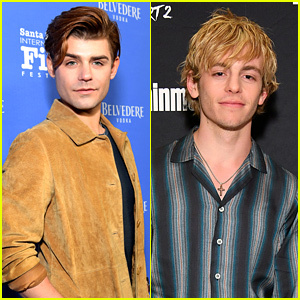 ), we also were stoked to have Riker Lynch for a season-long takeover during his time on Dancing With The Stars and later in the year, we had Allison Holker blog for us during the fall season. JJJ also expanded into more, exclusive photo diaries this year which included ones from Kalin and Myles, Nastia Liukin, and singer Abi Ann. JJJ is deep into digging up all of 2015′s major highlights – from the Top 50 Celebs to the Biggest Social Stars. Of course, how could we forget this year’s most memorable magazine covers? From Taylor Swift and Justin Bieber to Selena Gomez and Zayn Malik, the year sure had some incredible photo shoots and stories to share! NOTE: The list is in no particular order or rank.